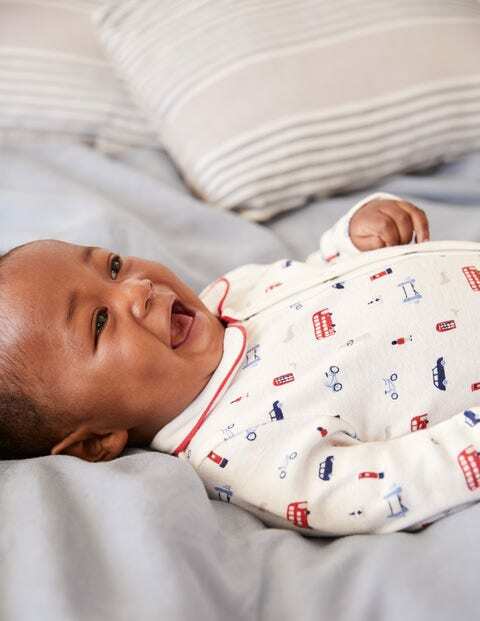 Fit for your little prince or princess, this sleepsuit guarantees sweet dreams in stretchy organically-grown cotton that’s been sueded for softness and is expertly designed in Britain. It’s printed with London landmarks (toot, toot – black cab coming through). Complete with scratch mitts and easy poppers, it makes night-time changes quick.